VyprVPN is not ideal for people who want ultimate anonymity, but for most users it's a fine choice. Golden Frog’s VyprVPN is a well-known and popular name among VPN aficionados. The price is affordable enough with two payment tiers, the speeds are good, and the company says it owns and manages 100 percent of its infrastructure. It’s also got something of a storied history—as far as internet companies go—as it was founded by two co-founders of Giganews, a popular Usenet provider. VyprVPN’s Windows app has a very simplistic design. It eschews the map-based approach where you can click on various locations. Instead it has its own take on the single-panel interface. When you first open the interface it shows your current IP address, the time connected (since you’ve just started up it will say “Not Connected”), the VPN protocol and encryption it will use, and whether the NAT firewall is enabled. At the top there’s also a bandwidth graph to show the current activity of your connection. There’s nothing particularly unique about the interface. Lots of VPNs show your IP address, time connected, and so on. But VyprVPN’s approach is designed to make them easily readable through a combination of the font and spacing around each item. At the very top of the window is a big blue Connect button. By default that button connects to the fastest server available, which typically means the closest server to your physical location. To change that click on the map marker to the right, which opens a dropdown menu with various options. Click that option and a second window opens with all the various server locations. For the most part it’s a collection of single country connections, but there are countries with multiple options such as the United States and Australia. Each server listing shows the ping response time to each location listed in milliseconds. The closer you are to a VyprVPN server location, the smaller the number. This window also has various tabs to filter servers by region, favorites, as well as a search tab for faster discovery of a particular location. The search tab is especially useful as this window cannot be maximized, and dragging the window will only make it larger vertically. That makes it a little confining and even awkward for quickly finding the location you want. In the upper right corner of the main VyprVPN window there’s also a settings cog to reveal the Options window, as well as links for support, more VyprVPN apps, and the company’s blog, Take Back Your Internet. VyprVPN has two tiers: basic and premium. A basic subscription costs $60 per year, and gives you access to three simultaneous connections and unlimited data usage. The premium tier costs $80 billed annually. It ups the simultaneous connections to five, and adds access to software for running own VPN server on Digital Ocean or Amazon Web Services, as well as the ability to use the service’s Chamelelon Protocol. The Chameleon Protocol is VyprVPN’s own proprietary technology that is supposed to defeat VPN blocking by governments, corporations, or ISPs. VyprVPN also works with Netflix but not in all cases. In my tests, some of the U.S. servers worked to get at Netflix while others didn’t. Though I did find that if I switched to the Chameleon protocol I could use any server I wanted to access Netflix. VyprVPN’s Options menu offers some helpful options none of which are turned on by default. 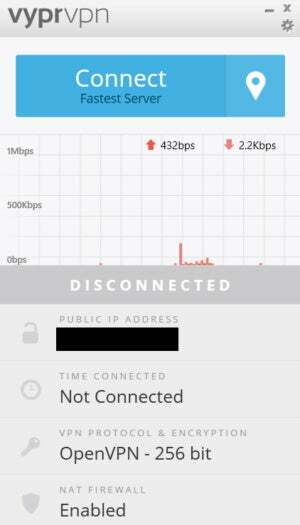 These include the option to automatically reconnect if you get disconnected, to connect to VyprVPN at boot or when you launch the VPN application, an Internet kill switch, and the ability to automatically connect to the VPN when you’re on a Wi-Fi network not included on your whitelist. Under Options > Protocol you can switch from OpenVPN to VyprVPN’s own Chameleon option that is based on OpenVPN 256-bit, and there’s also options to use L2TP/IPsec or PPTP. By default, VyprVPN uses its own DNS servers—as do most VPN services—to avoid any DNS leaks. But you can also opt to use specific 3rd party DNS servers. 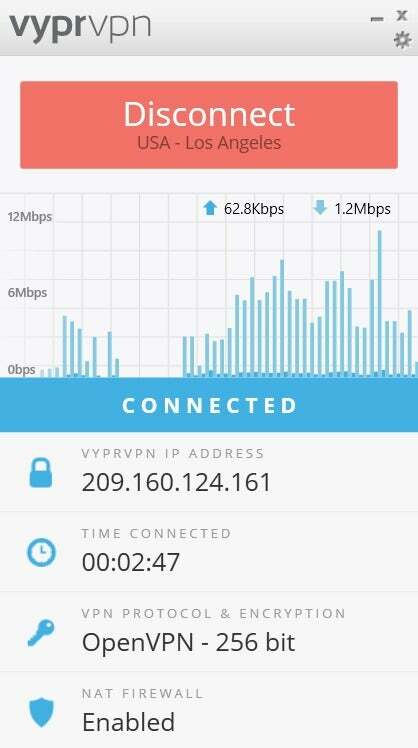 VyprVPN is available for Windows and Mac, Android and iOS, and there are instructions for routers, some smart TVs, AppleTV, and Kodi, the popular home entertainment PC software. In my tests, VyprVPN wasn’t the fastest VPN I’ve tested scoring about 24% of the base speed using the average from five VPN locations. That said, it did have some very capable and fast servers especially in the United States, United Kingdom, and Japan. The German connection wasn’t particularly fast, which was unusual since most times German locations have some of the best speeds in other VPNs. For the most part I’d say VyprVPN subscribers will be satisfied with the VPN’s performance. VyprVPN works on multiple devices. Golden Frog has always appeared to be a company concerned with user rights. But it doesn’t rise to the “gold standard” of anonymity that some will be looking for. To sign-up for an account you need to provide your name and email address. You could use a phony name and an anonymous email account, but payments are only accepted with credit cards, PayPal and Alipay. That means you could join and pay for VyprVPN psuedonomously with a throw away credit card number, but it’ll take more work to do that than signing up for services that accept cash or Bitcoin. Golden Frog says Bitcoin payments are coming in 2018. Golden Frog is pretty open about its identity. The company is incorporated in Switzerland where it houses all customer data. Golden Frog’s Swiss office address is Obergrubenweg 8, 6045 Meggen, Switzerland; however, the team’s key personnel work out of 2500 Bee Cave Rd in Austin, Texas. As for the people behind the service, it was founded by Ron and Carolyn Yokubaitis, and the executive team is listed on the company’s “about” page. 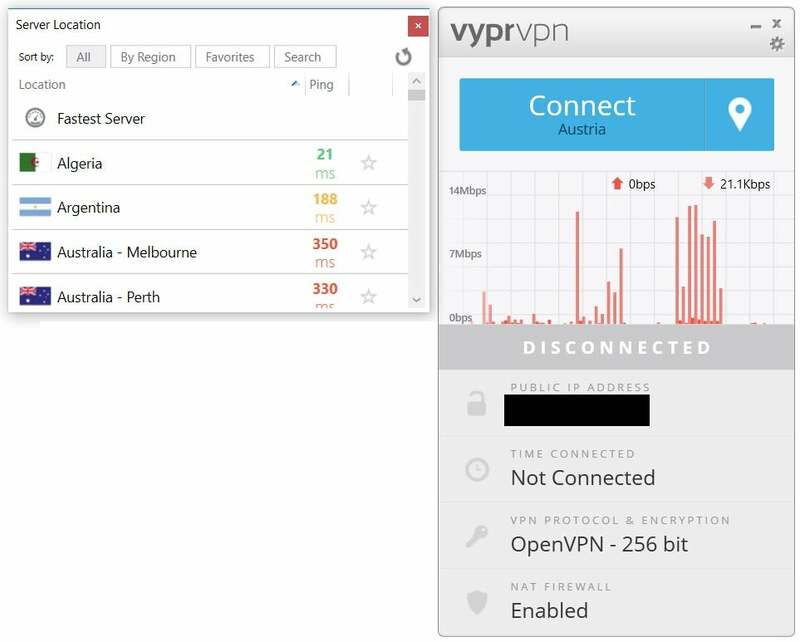 VyprVPN does keep some generic information about your connection history including your originating IP address, the VyprVPN address you used, the connection start and stop times, and the total number of bytes used. All of this information is retained for thirty days. VyprVPN says it keeps this information for everything from billing problems to dealing with crimes committed over the VPN network. VyprVPN doesn’t collect any information about your browsing habits, nor does it attempt to do any deep packet inspection on your Internet traffic. For the deeply privacy conscious, however, even that small amount of information Golden Frog keeps will be concerning. For the average user it’s probably fine. Those policies likely keep any spam bots and other nefarious users away, and would also deter pirates from using the service. Even though P2P traffic is allowed, Golden Frog retains enough information to figure out what you were up to—or at least make a pretty good guess—should a piracy complaint come in. On a related note, I found in my time with the VPN that I was rarely blocked from accessing a website or service—a common occurrence with numerous VPN services. That could be due to the fact that VyprVPN’s policies keep the baddies from abusing the service and blacklisting the company’s servers, but that is just speculation. If you are okay with the data retention policy and don’t need to stay as anonymous as possible then VyprVPN comes highly recommended. It would be nicer if you could dive deeper into each location to choose specific servers instead of just generic country locations, but that’s admittedly more of a power user feature. The bottom line is that VyprVPN is friendly enough and capable enough that even the most novice user should find it easy to use. 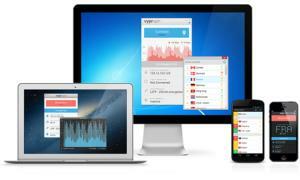 VyprVPN is a solid choice for a VPN service. It's simple to use, has enough servers and country options, and some servers work with U.S. Netflix. Anyone who's looking for the most possible anonymity, however, would do better to look elsewhere.